Scattered buttons lying around are a pretty common sight – one can find them shoved in drawers with dust bunnies, desktops or kept with coins somewhere. 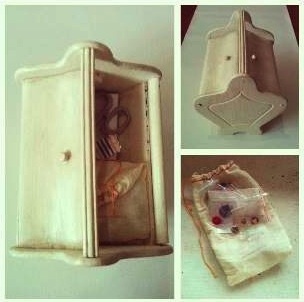 How about creating a sewing box? Gather all buttons and place them in one designated container. Add in those loose safety pins, threads, measuring tape and hotel sewing kits. Label it “Sewing”. Putting in scissors completes this new kit. If you have some spare time (though not necessary), you can segregate buttons by color for quicker identification when needed. I color-grouped the few buttons I decided to keep, joining pinks, reds and oranges, blues and greens, whites and beiges etc. 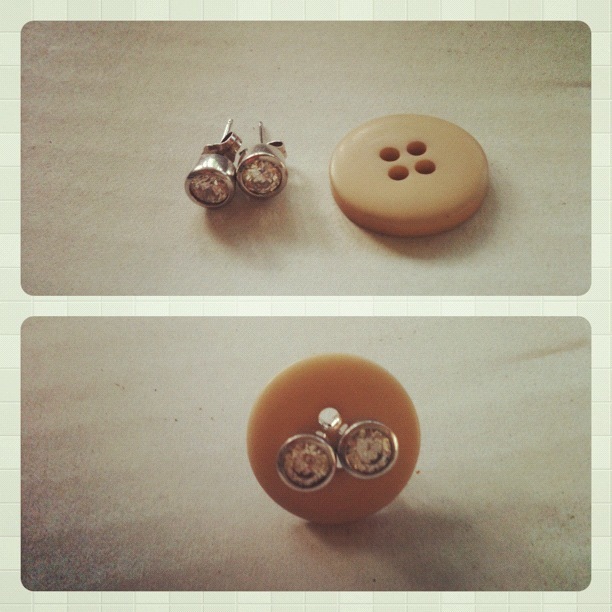 Use a button to hold a pair of earrings together. This is my vintage sewing box. It’s a little bulky but I love how it looks and serves its purpose. I use a small pouch for holding extra buttons. Purge Tip: If you have plenty of the same button type and don’t need them, you can give them to Crafter’s who might want to use them for doll eyes, a fun pillowcase design, scrap booking or other craft projects. You are currently browsing entries tagged with buttons at Space That Works.